Popular restaurant as roasted meat. 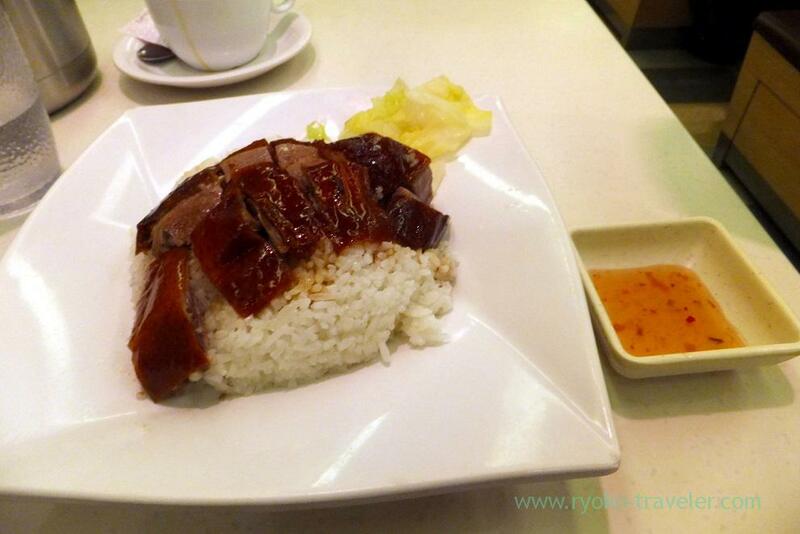 My dinner at second night in Hong Kong was at Tai Hing. I wanted to eat roasted meat rice (焼味). 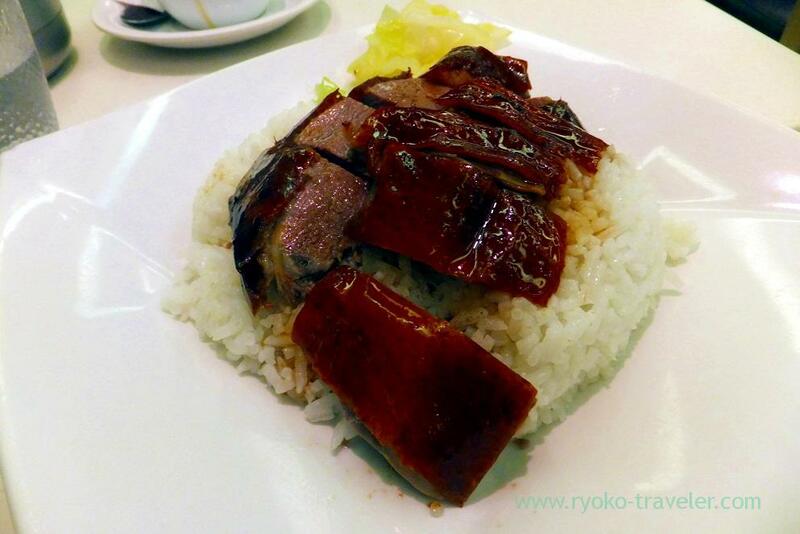 Roasted meat rice is popular food in Hong Kong. I tell us in advance. 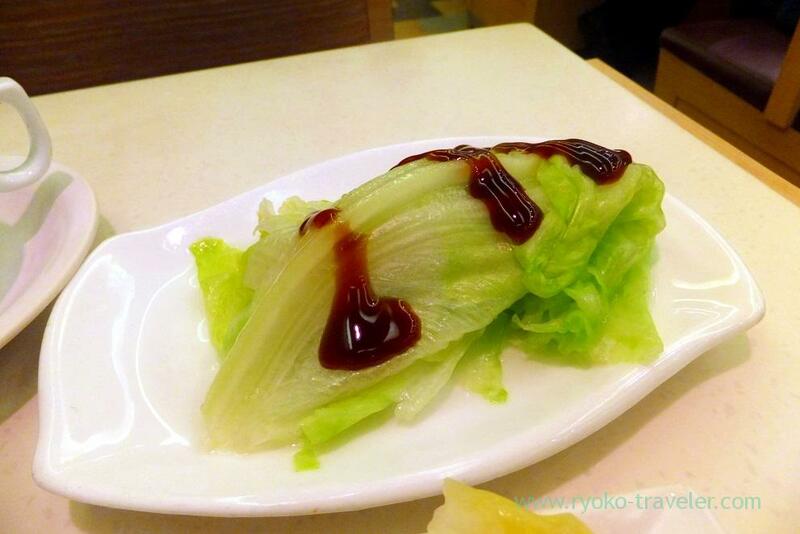 this was only food that disappointed me in Hong Kong. 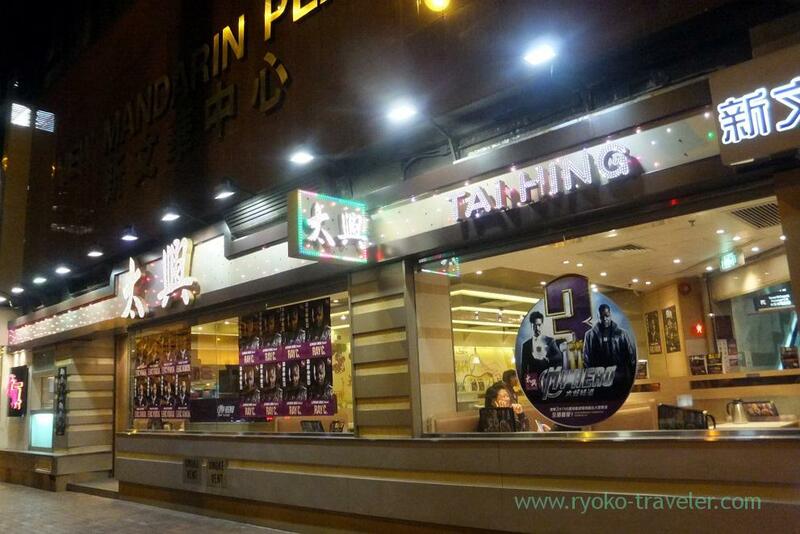 Tai Hing is expanded chain store and there are about 20 branches in Hong Kong. They are popular as roasted meat and rice on the plate. Though my friend recommended this restaurant, she said to me “pork meat is good. But I don’t recommend duck meat :(“. The restaurant is large and Women working in the restaurant are so kind and friendly. And I saw the menus. The menus have photos of every foods. I tried to order pork meat, but duck meat looked tasty… So I ordered it. Well, its skin was good. And the sour and sweet sauce was good, too. Umm. I should have ordered roasted pork ! One drink is included. 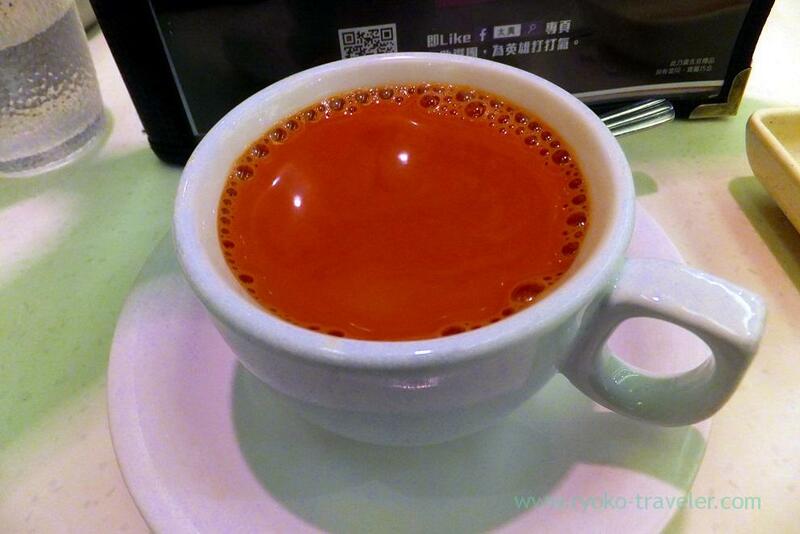 I chose hot milk tea.